Just a quickie today! When ever I go to the drugstore, or any store that has a greeting card section, I always stop and take a look for inspiration. 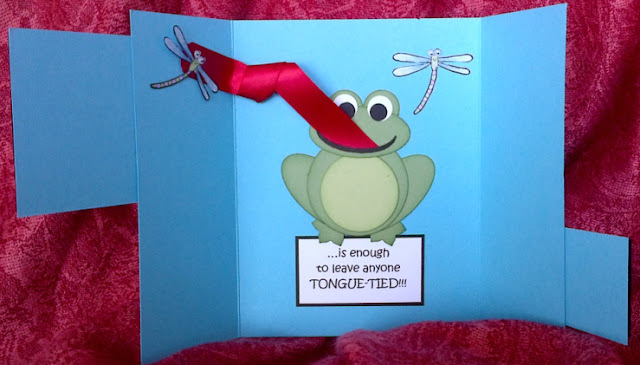 I found a cute little card with a frog on it and it was the inspiration for this card. 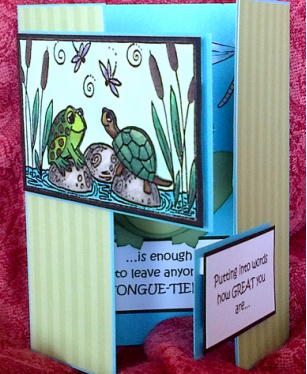 I used a gate fold card base, and the turtle/frog stamp is one of the oldest in my collection, in fact it was the very first stamp I ever bought when I started card making as a hobby. I stamped the image with Versamark, then embossed it in black. 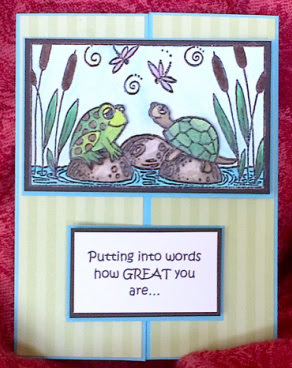 I made a second copy so that I could cut the frog and turtle out to apply it to the first image. I coloured the image using water colour paints and highlighted the image with H2O Twinkle paints. I flocked the cattails with brown flock. 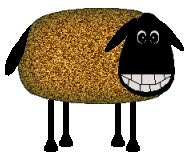 * When flocking, always colour the area in a similar colour as your flocking if you are not using coloured cardstock, especially if the background is white. If you don't, the cardstock will show through the flocking and it will look sparse and spotty, and nobody wants spotty flock!